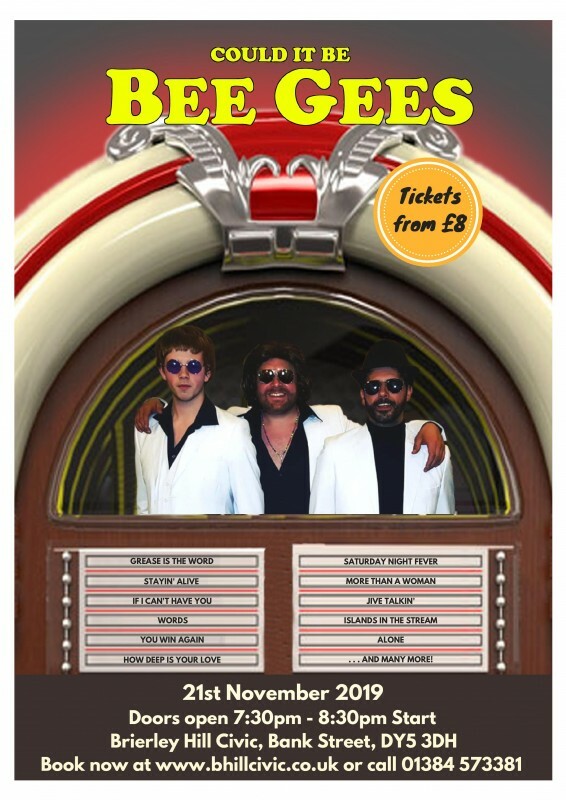 70’s Night fever returns to the Civic! The act that brought you Jersey4 perform: Could it be BeeGee’s! All the floor fillers from one of the worlds most legendary bands. Classic tracks include: Staying alive - Islands in the stream - Jive talking - Grease is the Word - Massachusetts- More than a woman and the Beautiful ballads Words - How deep is your love - I started a joke to name a few followed by a live tribute to the iconic era of Disco the 70’s come down and boogie as it would be a Tragedy to miss out!!! Tickets £8 in advance or £12 on the door.